Mack Business Appraisals estate and gift tax valuation services assist business owners and other high net worth individuals in preserving their wealth. 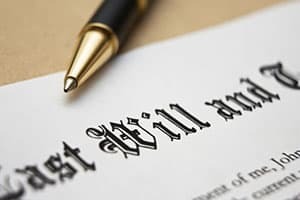 We work with attorneys, certified public accountants, financial planners and bankers to create effective estate and gifting plans to realize your overall objectives. Our firm has extensive experience in reviewing Partnership Agreements and Operating Agreements to make sure that provisions of those Agreements do not conflict with our application of appropriate discounts in determining at the fair market value of your company. We specialize in providing discount studies (lack of marketability and/or lack of control) for family limited partnerships and limited liability companies. We also perform business valuations of equity interests in privately-held operating companies. Our gift and estate tax valuations are prepared in accordance with Revenue Ruling 59-60 and are provided in a report format that satisfies the “Qualified Appraisal” requirements of the Internal Revenue Service (IRS). Our gift and estate tax reports are commonly used for estate planning, filing of estate and gift tax returns, implementation of buy-sell agreements, key person insurance funding and charitable contribution transactions.